Order Cute and Funny Horse stuffed animals, plush toys and kids purses and puppets in a variety of styles including My Little Pony. Plush_ snuggly horses for your favorite cowgirl or cowboy. Large size measures tail to nose 10 inch, front hoof to top of head 9 inch, shoulder to shoulder 5,inch. Pink ribboned headstall and white mane. Stoney the Appaloosa Horse Plush Stuffed Animal 9"
This Stoney the Appaloosa Horse Plush Stuffed Animal 9" is Stuffed with cuteness, adorableness and sweet, sweet dreams! When you receive your Appaloosa Horse you will be taken aback with how wonderfully it is made (we use the finest materials) and how much it seems to beg to be held. This Appaloosa Horse Stuffed Plush Animal is Stuffed with cuteness, adorableness and sweet, sweet dreams! When you receive your Appaloosa Horse Stuffed Plush Animal you will be taken aback with how wonderfully it is made (we use the finest materials) and how much it seems to beg to be held. The Appaloosa Horse Stuffed Plush Animal measures approximately 10" inches. Nothing beats the exceptional look and quality of our Palomino Horse Puppet. Among the finest made, you will be provided with great satisfaction and long lasting enjoyment. Why not pamper yourself or give a loved one a Palomino Horse gift to show them how much you care. The Palomino Horse Puppet will make the perfect gift for any Palomino Horse lover. Shop with confidence, because all products come with a 100% customer satisfaction guarantee. Click over now to see the big selection of Palomino Horse gifts we offer. 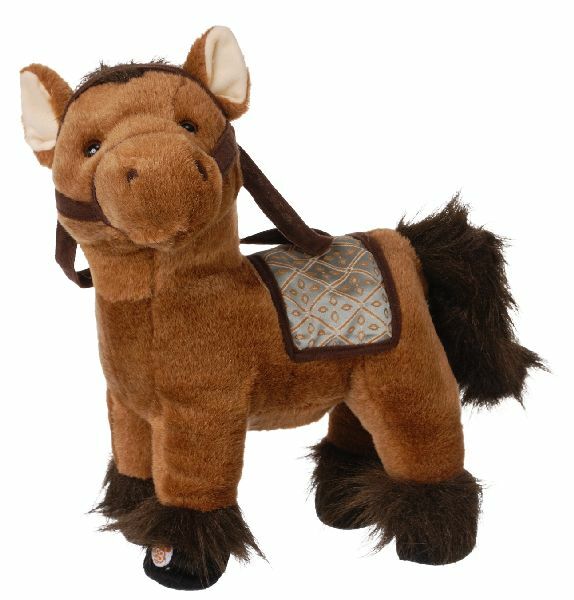 Nothing beats the exceptional look and quality of our Brown Horse Plush Animal. Among the finest made, you will be provided with great satisfaction and long lasting enjoyment. Why not pamper yourself or give a loved one a Brown Horse gift to show them how much you care. 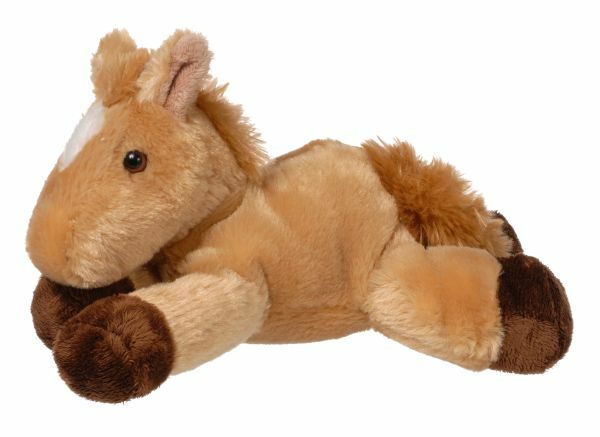 The Brown Horse Plush Animal will make the perfect gift for any Brown Horse lover. Shop with confidence, because all products come with a 100% customer satisfaction guarantee. Click over now to see the big selection of Brown Horse gifts we offer. Nothing beats the exceptional look and quality of our Brown Horse Purse. Among the finest made, you will be provided with great satisfaction and long lasting enjoyment. Why not pamper yourself or give a loved one a Brown Horse gift to show them how much you care. The Brown Horse Purse will make the perfect gift for any Brown Horse lover. Shop with confidence, because all products come with a 100% customer satisfaction guarantee. Click over now to see the big selection of Brown Horse gifts we offer. Nothing beats the exceptional look and quality of our Buckskin Horse Plush Animal. Among the finest made, you will be provided with great satisfaction and long lasting enjoyment. Why not pamper yourself or give a loved one a Buckskin Horse gift to show them how much you care. 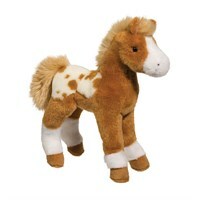 The Buckskin Horse Plush Animal will make the perfect gift for any Buckskin Horse lover. Shop with confidence, because all products come with a 100% customer satisfaction guarantee. Click over now to see the big selection of Buckskin Horse gifts we offer. Nothing beats the exceptional look and quality of our Buckskin Horse Purse. Among the finest made, you will be provided with great satisfaction and long lasting enjoyment. Why not pamper yourself or give a loved one a Buckskin Horse gift to show them how much you care. The Buckskin Horse Purse will make the perfect gift for any Buckskin Horse lover. Shop with confidence, because all products come with a 100% customer satisfaction guarantee. Click over now to see the big selection of Buckskin Horse gifts we offer. Nothing beats the exceptional look and quality of our Horse Plush Animal. Among the finest made, you will be provided with great satisfaction and long lasting enjoyment. Why not pamper yourself or give a loved one a Horse gift to show them how much you care. The Horse Plush Animal will make the perfect gift for any Horse lover. Shop with confidence, because all products come with a 100% customer satisfaction guarantee. Click over now to see the big selection of Horse gifts we offer. Nothing beats the exceptional look and quality of our Paint Horse Plush Animal. Among the finest made, you will be provided with great satisfaction and long lasting enjoyment. Why not pamper yourself or give a loved one a Paint Horse gift to show them how much you care. The Paint Horse Plush Animal will make the perfect gift for any Paint Horse lover. Shop with confidence, because all products come with a 100% customer satisfaction guarantee. Click over now to see the big selection of Paint Horse gifts we offer. This Paint Horse Purse is Stuffed with cuteness, adorableness and sweet, sweet dreams! When you receive your Paint Horse Purse you will be taken aback with how wonderfully it is made (we use the finest materials) and how much it seems to beg to be carried by any smiling young girl. The Paint Horse Purse measures approximately 10" inches. Roma Black Horse Plush Stuffed Animal 12"
This Roma Black Horse Plush Stuffed Animal 12" is Stuffed with cuteness, adorableness and sweet, sweet dreams! When you receive your Black Horse you will be taken aback with how wonderfully it is made (we use the finest materials) and how much it seems to beg to be held. This White Horse Purse is Stuffed with cuteness, adorableness and sweet, sweet dreams! When you receive your White Horse Purse you will be taken aback with how wonderfully it is made (we use the finest materials) and how much it seems to beg to be carried by any smiling young girl. The White Horse Purse measures approximately 7" inches. They say good things come in small packages and you will bring home a truly great thing in the White Horse Purse. Washable and tailor made for hugs for kids ages 18 to 24 months and up, you will want to pick up this darling White Horse Plush Stuffed Animal for everyone in your family. Add a dash of color to your playroom with this adorable plush animal. This White Horse Stuffed Plush Animal is Stuffed with cuteness, adorableness and sweet, sweet dreams! When you receive your White Horse Stuffed Plush Animal you will be taken aback with how wonderfully it is made (we use the finest materials) and how much it seems to beg to be held. The White Horse Stuffed Plush Animal measures approximately 22" inches. Cute as ever plush Pinkie Pie by My Little Pony! Soft pink pony features balloon embroidery in blue & yellow hues. Darker pink mane & tail features tiny gold speckles. Large, blue embroidered eyes. Your young gal will love snuggling up to our adorable My Little Pony Pinkie Pie doll. Pony measures 8" x 10 1/2". Stuffed pony is made of polyester fibers. Cute as ever plush Pinkie Pie by My Little Pony! Soft pink pony features balloon embroidery in blue & yellow hues. Darker pink mane & tail feature tiny gold speckles. Large, blue embroidered eyes. Your young gal will love snuggling up to our adorable My Little Pony Pinkie Pie doll. Pony measures 6 3/4" x 5". Stuffed pony is made of polyester fibers. Soft pink pony features balloon embroidery in blue & yellow hues. Darker pink mane & tail on pony feature tiny gold speckles. Pink, purple, blue & yellow pony carrier shines with metallic & iridescent accents. Carrier features two carrying handles & ties with a blue ribbon. This plush My Little Pony stuffed animal comes in an adorable carrier, making it even easier to take anywhere! Plush pony features cuddly, soft fabric. Pinkie Pie stuffed pony is made of polyester fibers and plastic pellets. Carrier is made of polyurethane foam. Horse measures 6 3/4" x 5". Carrier measures 7" x 4". 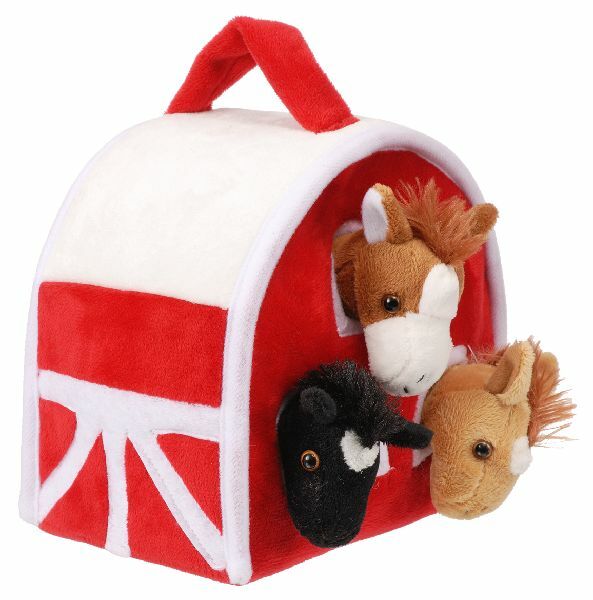 Every cowgirl loves My Little Pony & this carrier set is the perfect gift! Soft white pony features snowflake embroidery in blue hues. Purple mane & tail on pony feature metallic purple fabric. Silver, blue & white pony carrier shines with metallic & iridescent accents. Carrier features two carrying handles & ties with a silver ribbon. This plush My Little Pony stuffed animal comes in an adorable carrier, making it even easier to take anywhere! Plush pony features cuddly, soft fabric. 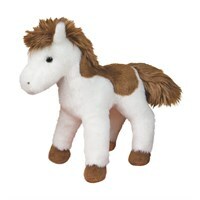 Rarity stuffed pony is made of polyester fibers and plastic pellets. Carrier is made of polyurethane foam. Horse measures 6 3/4" x 5". Carrier measures 7" x 4".. Your little one will love cuddling with this super soft toy horse! Plush brown horse features fuzzy black faux fur at tail & mane. This little plush horse is perfect for cuddling and small enough to take anywhere! Plush horse features cuddly soft fabric. Toy horse is made of 100% polyester. Measure 12" long. 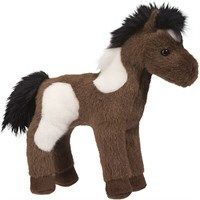 The perfect plush horse for your little cowgirl or cowboy! 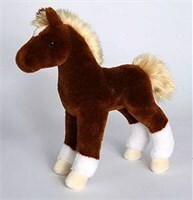 Super soft brown & white horse features a faux fur brown mane & tail. This plush horse is perfect for little tykes to cuddle with and small enough to take along! Plush horse features extremely soft fabric. All materials are made of polyester fibers and plastic pellets. Horse measures 12" x 9". An adorable stuffed animal for your kiddo. Plush brown horse. Black beaded eyes. A cuddly plush stuffed horse for your little cowpoke! This 10" stuffed trot toes horse is known for its oversized feet! Trots is a super cute brown horse with a white spot and brown feet with grey horseshoes. Plush light brown horse with a white accent on its nose. matching faux fur at mane & tail. Slot on back for coins. Make saving fun for your country kiddo with this plush bank! Soft, 100% polyester faux-fur exterior provides a cushion, making this bank less breakable than traditional ceramic or glass banks. Recommended for children ages 3+. Measures approx. 12" x 8" x 6". A different kind of piggy bank by Carstens! 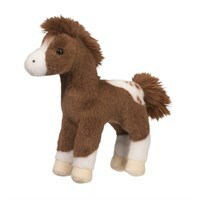 Brown & white plush horse bank. Horse features black faux hair mane & tail & white faux hair at ankles. Slot on back for coins. Make saving fun for your country kiddo with this plush bank! Soft, 100% polyester faux-fur exterior provides a cushion, making this bank less breakable than traditional ceramic or glass banks. Recommended for children ages 3+. Measures approx. 12" x 8" x 6". This perky plush pony gallops and sings! Press one of his cute ears to hear a fun song while he moves his head and tail. Press the other ear to see him move his legs and tail with trotting sounds. His fluffy mane and tail are accented by the red bandanna. Batteries included. 10"L x 8"H.
Cuddly Grace has a luxurious feel-from her fluffy mane and silky coat to her frisky tail. A perfect friend for playtime or naptime. 100% poly fiber. 15" long. Surface wash. Imported. Ages 36 months and up. Babies and toddlers can cuddle up with this so-soft lovey blanket featuring an adorable pony head, silky plush body and satin hooves. Finished with embroidered eyes and fluffy mane, tail and forelock. 100% poly. Machine washable. Imported. 17" long. From birth and up. It''s love at first sight-one look in this pony''s big bright eyes and you''ll be hooked! Whimsical plush friend is ready to be hugged, with a pretty pink halter and pink ribbons at her ears and tail. Bean-filled hooves. 15" long. For age 3 and up. 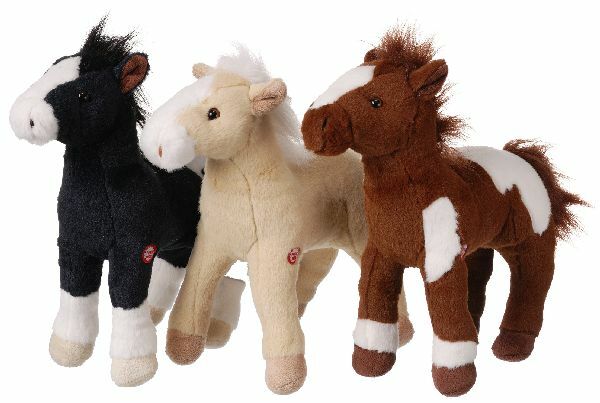 Gift Corral Flopsie Horse Prancer 8"
Plush Barn with 3 Plush Horses 6.5" x 6.5"
MORE horses and other lifelike stuffed animals at Stuffed Ark.